We Choose All of Us encourages practices of self-reflection and storytelling to plant and nurture the seed that reconnects us to us. 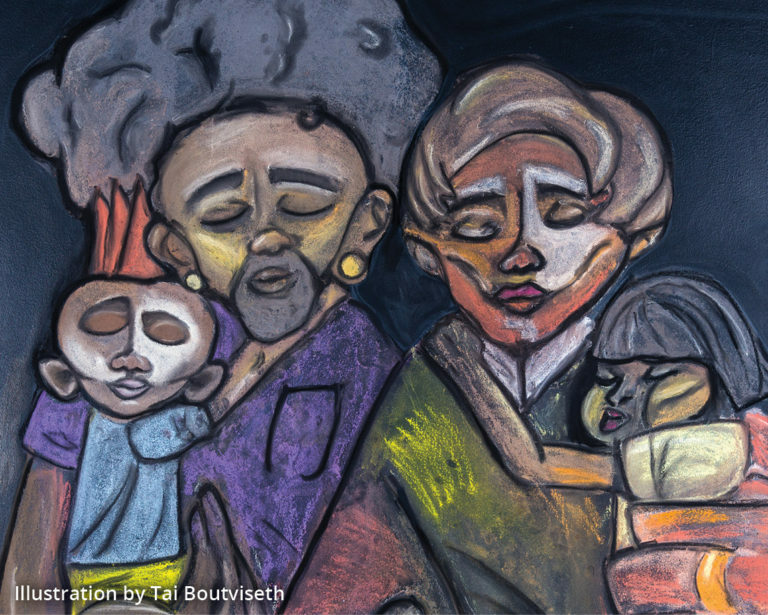 Through visual art, poetry, and storytelling, We Choose All of Us promotes a new way of being, with relationships based on mutuality, an abundance and sharing of resources, and organizing across social justice issues with impacted communities at the center. The We Choose All of Us website offers prompts for self-reflection and conversation on each theme, as well as artwork and suggested community practices that promote connection. The project has also developed teen-specific materials, such as posters, conversation cards, and pocket guides on healing from abuse and supporting friends, available on IDVSA's website. Learn more about We Choose All of Us' poetic vision and practices for self-reflection and community connection on their website. Access additional We Choose All of Us resources on at idvsa.org.